Designer Skin Tanning Package Giveaway! Enter our Giveaway for a chance to win 3 Designer Skin products! BLACK® Silicone TAN EXTENDER – 16 oz. 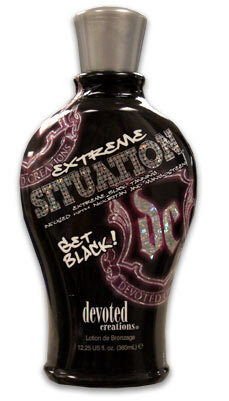 BLACK 20x Mega Magical Silicone Bronzing Body Silk – 13.5 oz. LIP SMOOTHIE SPF 15 Lip Balm – 0.15 oz. Welcome back! Hope you all are enjoying the new Tanforless.com! We have so much more in store, just wait and see. 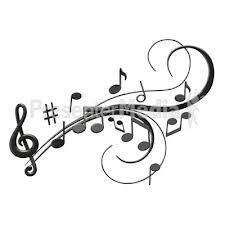 This is week two of the Trivia Contest, and I hope you are all ready for a trip back in history (not too far but far enough) I am not a history teacher but I am a music fanatic. Here, at Tanforless, we listen to a variety of music all day, every day! Here we go! On this day, October 9, 1983, which song was Number One on the Hot 100 list, title and artist? This contest is for the prize of a 10% off coupon at Tanforless.com. Contest will close after three correct answers are given. Congratulations to our winners Nikala, Mandi, and Liz! Way to go Ladies! Keep an eye out for next week’s Trivia Contest starting on October 16, 2012. 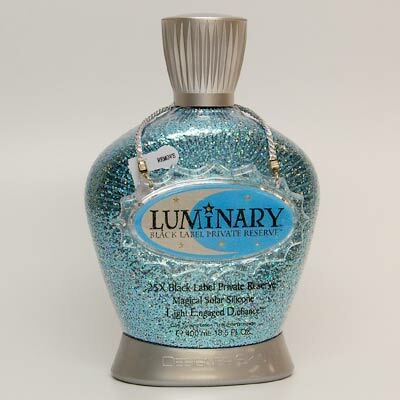 This FREE giveaway is for Designer Skin LUMINARY 25X Private Reserve Tanning Lotion 13.5 oz. GIVEAWAY ENDED FEBRUARY 21 , 2011 11:59 PM CENTRAL TIME. GIVEAWAY ENDED February 21, 2011 11:59 PM CENTRAL TIME. GIVEAWAY ENDED October 18, 2010 11:59 PM CENTRAL TIME.